Leica has introduced a new version of the Leica Q – a limited edition model created in collaboration with Swiss Olympic gold medallist and World Champion halfpipe snowboarder Iouri Podladtchikov. 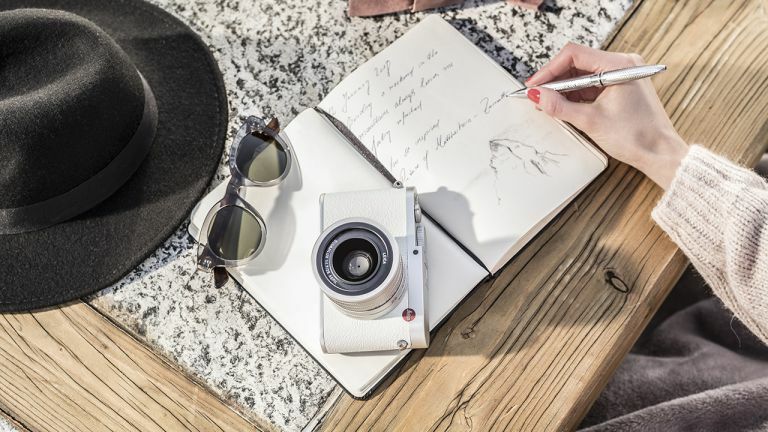 The Leica Q ‘Snow’ by Podladtchikov features a pure white trim in real leather, silver anodised top deck and baseplate and controls on the top deck in silver. The design concept also features a new accessory shoe cover made from aluminium. Interestingly, Podladtchikov's choice of the colour white doesn’t just relate to snow – perhaps the obvious choice for a snowboarder: “White, for me, also means ‘carte blanche’ – it’s up to you. It’s time to get creative” he explains. It's a standard Leica Q underneath the luxuos white leather, with the 24MP full-frame CMOS sensor, Summilux 28 mm f/1.7 ASPH lens, and Wi-Fi to pair with the smartphone app. The Leica Q ‘Snow’ by Iouri Podladtchikov is presented as a set, complete with a case in soft white leather and a colour-matched carrying strap. It will be available from March 2018 for £4,300 (including VAT). The edition is also strictly limited to only 300 pieces worldwide, each of which bears a special serial number.